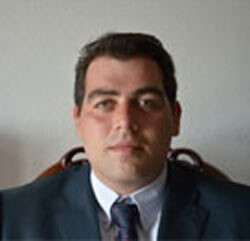 Nicolò is a Chartered Certified Accountant currently practicing in Parma and is a member of the ACCA. His international studies in Italy, the UK and the USA allowed him to consolidate his special interests in international business and tax issues. In 2015 he started his own practice Accounting Bolla. Nicolò’s firm offers taxation, accounting and business services and specialises in delivering tailor-made solutions for clients, adopting the best tax-efficient opportunities available within the Italian system. The team at Accounting Bolla are English-speakers and can assist foreign clients with Italian issues to the highest standards of professionalism.